I put my energy on, but many times enough is enough. Pay attention bands on the rise, don’t overdo yourselves, half an hour is a good pointer to the lenght of a set! Well, no more ranting! We prepare ourselves for Västervik where it is Paganizers turn to arrange part II. 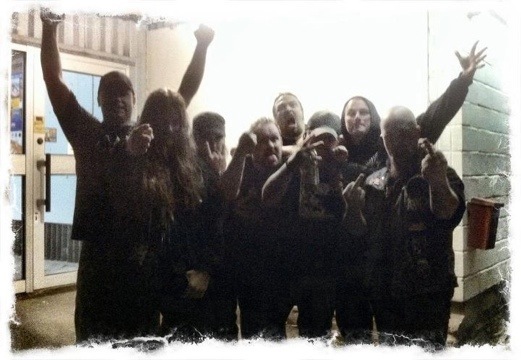 Puteraeon with metal brothers Paganizer!! Tonight, Finspång/Sweden will be devoured. Together with Paganizer and Intestinal we will make sure we leave none untouched. Be there! Rehearsals for the new album is on a steady course ahead, and to this date we have written eight new songs and the ninth is in the pipeline. To complete the album we will also re-record two songs from the demo days!